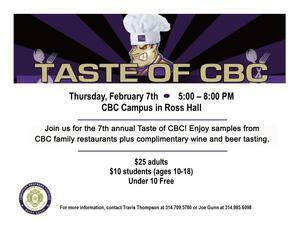 Join us Thursday, February 7 from 5 p.m. - 8 p.m. at CBC to enjoy delicious tastings from more than a dozen great restaurants! 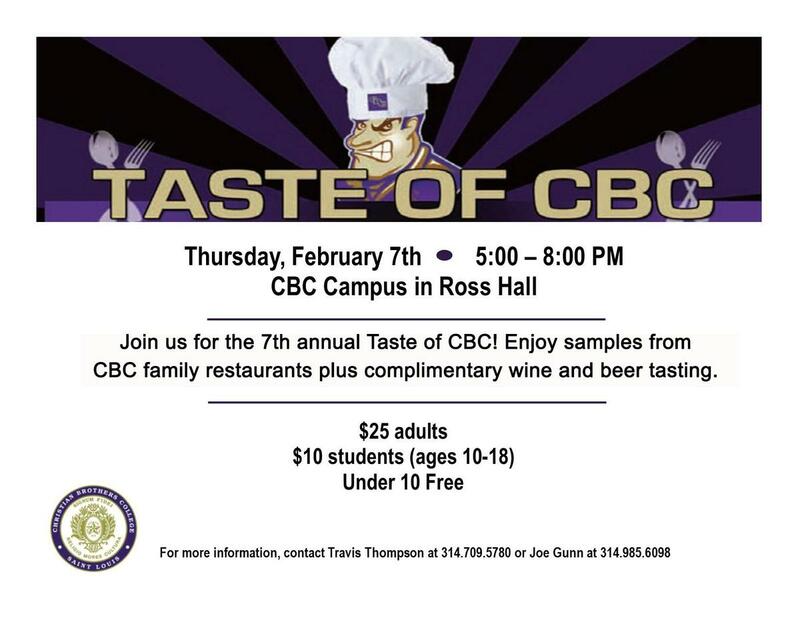 The Taste of CBC has become one of our school community's favorite annual events. Now in its seventh year, the gathering has formed a happy connection between CBC affiliated restaurants and hungry alums, faculty, students and parents looking for a delicious and diverse dining experience. Tickets are $25 for adults and $10 for students. You can reserve your spot and purchase tickets by clicking HERE.